The Fast Fourier Transform technique can be used to remove regular repetitive background patterns. It can also be used to isolate individual fingerprint ridges and either remove them or increase their intensity. 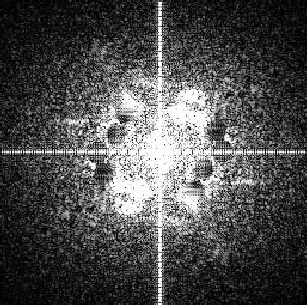 This can only be achieved through using 12 bit images and creating detailed diffraction patterns. 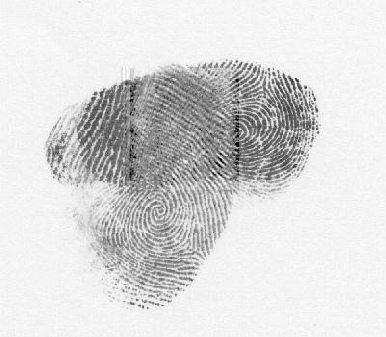 Enhanced image, with the top fingerprint removed and the bottom fingerprint enhanced.